RetroPie Zero NES Controller #3DThursday #3DPrinting « Adafruit Industries – Makers, hackers, artists, designers and engineers! This is my design of a replacement back for a Nintendo NES-004 Controller, for use with a Raspberry Pi Zero V1.2 or V1.3 running RetroPie. The Pi is held securely in place with four M2.5 x 5 mm plastic screws (McMaster-Carr 96817A890 or similar), and the case is held together the original screws (or, if you lose them, McMaster-Carr 96817A846). 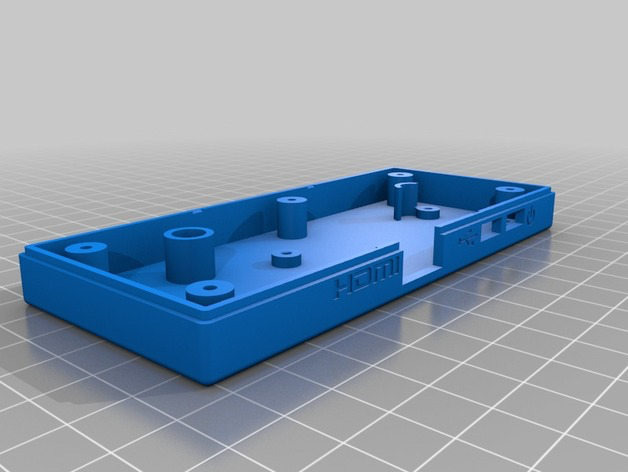 Print with support inside the recesses for the case screws. Screw holes in the printed part are dimensioned and spaced correctly, but should be reamed clean with a #45 drill for a precise fit.